Another major Star Wars novel is out, and that means even more revelations about the nascent Star Wars canon that Disney is building for the galaxy far, far away. 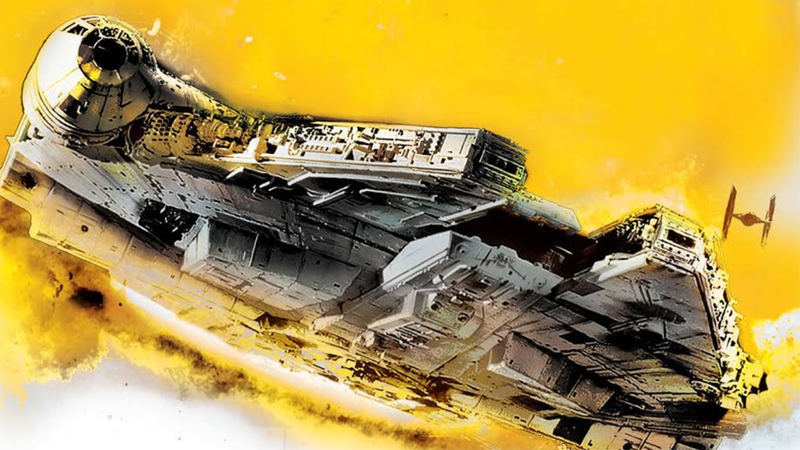 We’ve read Life Debt, Chuck Wendig’s sequel to Aftermath, and broken down what it means for the state of the Star Wars galaxy. The majority of Life Debt deals with the liberation of Kashyyyk, the Wookiee homeworld still occupied by Imperials in the wake of the Battle of Endor. For Han, this is a personal mission—he resigns his commission and goes off with Chewbacca to liberate his partner’s home. After both heroes go missing, a group of ragtag fighters that were protagonists in the original Aftermath novel, including Norra Wexley and her son Temmin (better known now as Greg Grunberg’s Snap Wexley in The Force Awakens), are tasked with finding the duo and helping them in their goal. While previous novels confirmed that Han and Leia were indeed married post-Return of the Jedi, we now know that they didn’t hang around after the destruction of the second Death Star; they actually got married pretty much after the final scenes of Return of the Jedi. On top of that, Leia is already pregnant with the couple’s first child, although many of their friends and colleagues in the New Republic are unaware of that fact yet. We all know how that one turns out, don’t we? Neither The Force Awakens or previous novels like Star Wars Bloodlines have shied away from the fact that Leia can call the Force an ally (and a powerful ally it is). She just doesn’t happen to join her brother as a Jedi—Luke’s presence in Life Debt comes through the meditation training he’s been giving Leia to help hone her Force sensitivity. She uses that training to guide her to Han after he goes missing, and notes how powerful that feeling is—a precursor to her feeling his loss through the Force 30 years later in The Force Awakens. One more bark and yip as Chewie pets his head. The most important things going on with the Imperial Remnant are much more behind-the-scenes. While Aftermath teased that the Empire was making plans after Endor to funnel resources and fleets into hiding on the edges of known space, providing a force for the rise of the First Order by the time The Force Awakens comes around, we finally get to see these plans begin in Life Debt. Rae Sloane, and Brendol Hux’s son, Armitage Hux. Rax is revealed to be the shadowy figure called “The Operator” in Aftermath, and is the most intriguing of them all, and there’s been some wild speculation that he’s actually a younger Supreme Leader Snoke. However, Life Debt keeps his race and appearance deliberately vague, and he displays no signs of Force sensitivity (although there’s an argument that could be made in that regard at the very end of the book—more on that later). But he’s positioned as the main face behind the new Post-Empire order. This is presumably a predecessor to the younger Hux’s own belief in training loyal soldiers from childhood to adulthood rather than breeding a clone army, which leads to kids like Finn being taken from their families and brainwashed into being adherents of the First Order. One of the most alarming things is that the Empire has lost control of a number of Super Star Destroyers. There were previously 13 of the massive ships in existence; Rae Sloane commands the Ravager, the only one left in the Imperial Remnant’s control. Of the remaining 12, the Executor, Vader’s flagship, was destroyed at Endor. Five more were lost in battles with the New Republic, a band of pirates has taken over the Annihilator, and one accidentally flew into a gravity well. Three are now in the New Republic Fleet. But Emperor’s personal Super Star Destroyer, the Eclipse, is missing. It was supposedly destroyed, but Sloane found irregularities in those records. Aftermath: Life Debt is full of “interludes” on planets that don’t seem to be connected to the core plot, but certainly have implications for the universe as a whole. Rebellion hero Wedge Antilles goes through the ringer a fair amount in Aftermath: Life Debt. But, in between all that, he takes the time to mentor Temmin “Snap” Wexley. Snap showed up in The Force Awakens as a pilot under Poe’s command, and in Aftermath: Life Debt he trains in X-wings and X-wing simulators under the eye of Wedge. Wedge is even the source of the “Snap” nickname, which is a reference to how Temmin literally snaps his fingers all the time. In Coronet City on Corellia, a group called the “Acolyte of the Beyond” is active, calling themselves devotees of something “greater than the Empire.” One is captured by the police while (essentially) spray-painting “Vader Lives” and says that, in this group, you have to “earn your mask.” In the basement of that building, the acolytes find what certainly sounds like a red lightsaber. They say that they’ve been looking for it, and they have it. It would make no sense for it to be Vader’s, but it would parallel Maz Kanata’s find nicely. No matter what they found, the Acolytes seem to have a lot in common with the Knights of Ren from The Force Awakens. In one of the weirder interludes, we find out what happened to the devastated rancor trainer from Return of the Jedi. His name’s Malakili and his poor, dead rancor was Pateesa. After the events of the movie, he hung around Jabba’s palace for a long time, before seeking more animals to train. After he fails to find purpose in training the sarlacc, he ends up in Mos Pelgo (now Freetown) where a baby Hutt was taken from a criminal gang, planning to put it on Jabba’s throne. Malakili is asked to teach the Hutt. If it turns out to be Stinky, that would be an amazing Easter egg. If you get up on stage, you have to perform; don’t drink what’s in the brown jug; don’t go downstairs; if your animal drops a pile anywhere, you’re out; all deals need the approval of Maz before they’re done, and if you try to go around her back she’ll take what’s yours and what’s his and sell all of it to the highest bidder; and for the love of all that is holy don’t mention Maz’s eyes unless you want to get into a very long conversation. Timeline-wise, this could be the journey that ends with Luke and Anakin’s old lightsaber moldering in her basement. It would parallel with the red one found by the Vader cult on Corellia. In one of the weirdest interludes, we see a meeting of Alderaanians who weren’t on the planet when it was destroyed by the Death Star. They also take delivery of the first of many chunks of scrap of the Death Star as reparations. They want to build a space station of their own out of it. Life Debt’s final major reveal concerns the aforementioned Gallius Rax. The epilogue of the novel offers a huge hint at where Star Wars is going with its story, not just in the new canon, but in the movies as well: and it involves a familiar locale and a familiar face. Set 30 years before the events of the novel (so roughly just after the events of The Phantom Menace) the epilogue reveals that Rax was born on Jakku. In an attempt to escape the dusty world, Rax sneaks aboard a Republic ship that lands on the planet one day... and finds himself face to face with none other than Chancellor Palpatine, who’s visiting the planet for undisclosed (and presumably nefarious) reasons to excavate a piece of land. I give you a new life. A better one. I give you a task that, if you manage, will lead you to greater things. Not some thing so mundane as a job, but a role. A purpose. I sense in you potential. A destiny. Most people have no destiny.